Chunchanakatte Falls (Kannada: ಚುಂಚನಕಟ್ಟೆ ಜಲಪಾತ ಅಥವಾ ಚುಂಚನಕಟ್ಟೆ ಫಾಲ್ಸ್) is a waterfall on the Kaveri River, near the village of Chunchanakatte in krishnarajanagar taluk of Mysore district, Karnataka, India. 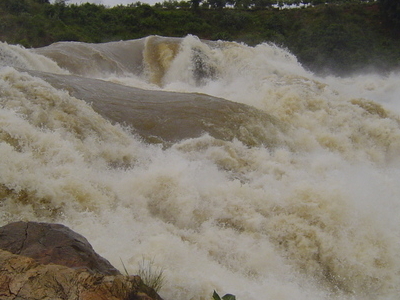 Water cascades from a height of about 20 meters. It is in the Western Ghats. Here the river falls in two small cascades before joining again to flow as one. The waterfall can be reached by taking a diversion at Krishnarajanagar on the Mysore-Hassan highway. The diversion is on the left at the circle in the town of KR Nagar. A subsequent right turn on to a mud road leads to the waterfall. 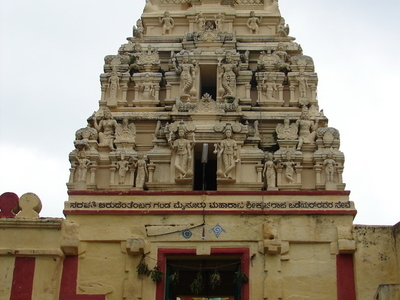 It is located at approximately 15 km from the town of KR Nagar. 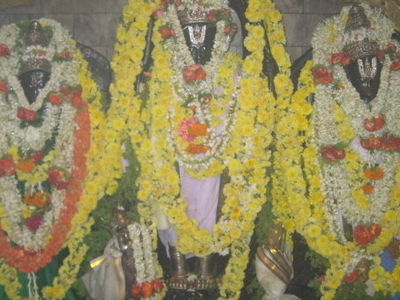 Chunchanakatte is the holy place where Lord Sri Rama during his vanvas stopped by and availed the hospitality of a tribal couple called Chuncha and Chunchi. The significance of this place is that the sound of the powerful falls can be heard all over except inside the sanctum sanctorum of the centuries old temple, the story goes that Lord Rama was tired of the constant complaining of Sita Mata and gave a curse saying that the tongue of a woman should not be sharp and since Cauvery (river) is considered to be female the noise that the river generated would not be heard in the sanctum sanctorum of the lord. It is also said that when Sita Mata was tired and weary and wanted to have a bath, Lord Ram directed Lakshman to fire an arrow at a rock, once Lakshmana fired the arrow, water in 3 different shades started pouring out, one with turmeric, one with oil and one with shikakai (fruit for hair - natural shampoo). These shades are visible even today when there is considerable amount of water flowing in the falls. Before the powerplant was established, this place was like paradise on earth with nature at its best. Here's the our members favorite photos of "Waterfalls in Mysore". Upload your photo of Chunchanakatte Falls!